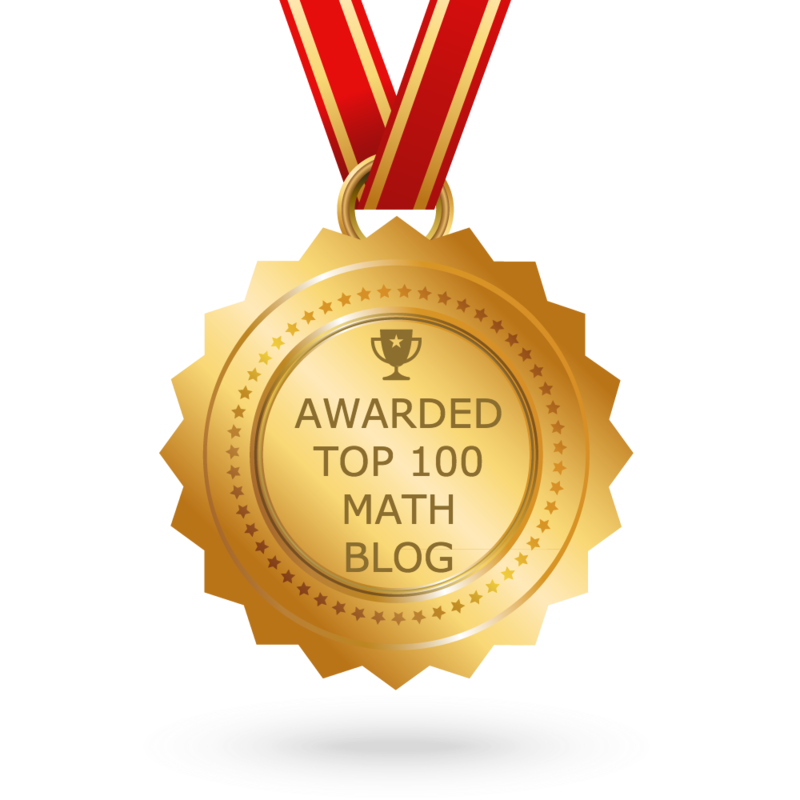 About "Graphing greatest integer function"
"Graphing greatest integer function" is the stuff which is needed to the children who study high school math. 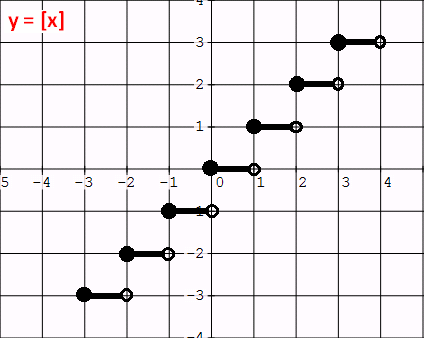 For all real values of "x" , the greatest-integer function returns the largest integer less than or equal to "x". In essence, it rounds down to the the nearest integer. Before learning "Graphing greatest integer function", always it is advisable to know the basic stuff about "Greatest integer function". 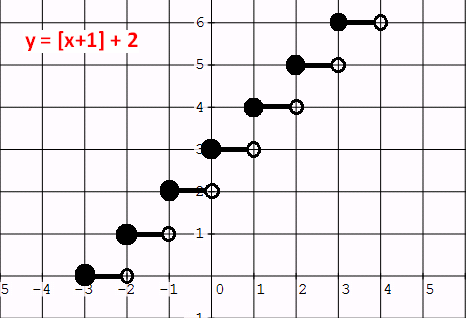 Please click here to know the basic stuff about greatest integer function. When we try to do graphing greatest integer function, first we have to graph the parent function of any greatest integer function which is y = [x]. Let us see, how to graph the parent function of greatest integer function. How to plot the above points on the graph? Let us take the point (-3-3). Mark the point on xy- plane with a filled circle at (-3-3). Then extend a line for "1" space on the left side of (-3,-3) and end up with empty circle. Do the same thing for the other points too. Now you will have a graph as given below. Write any parent function in the form as given below. Now equate "y-a" and "x-b" to zero. (i) If you have y = 0, there is no vertical shift. (ii) If you have y = a (positive value), then shift the graph up "a" units. (iii) If you have y = -a (negative value), then shift the graph down "a" units. (i) If you have x = 0, there is no horizontal shift. (ii) If you have x = b (positive value), then shift the graph to the right "a" units. (iii) If you have x = -b (negative value), then shift the graph to the left "a" units. 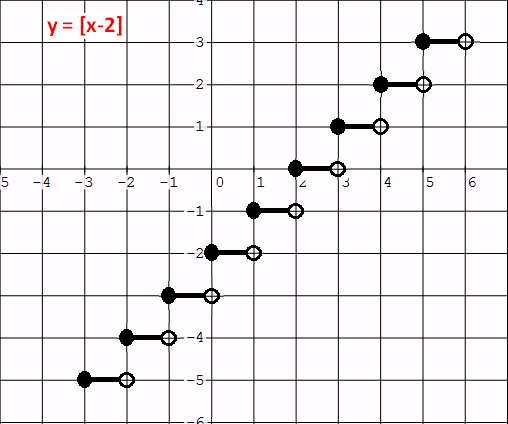 Let us have some examples to have better understanding on "Graphing greatest integer function". We get y = 0 and x = 2. From y = 0, there is no vertical shift. From x = 2, we have an horizontal shift of 2 units to the right. So each point of the parent function to be shifted 2 units to the right. If we do the above transformation, we will have a graph as given below. We get y = 3 and x = 2. From y = 3, we have a vertical shift of 3 units up. From x = 0, there is no horizontal shift. So each point of the parent function to be shifted 3 units up. We get y = 2 and x = -1. From y = 2, we have a vertical shift of 2 units up. From x = - 1, we have an horizontal shift of 1 unit to the left. So each point of the parent function to be shifted 2 units up and 1 unit to the left. If we do the above transformations, we will have a graph as given below. Some more stuff on "Greatest integer function"